Dataroll delivers across the whole of Australia using a ‘direct from warehouse’ delivery model which means we can take total control of your supply management. 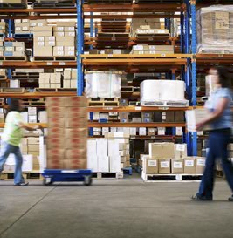 We can simply pull your order from our general stock lines when you need it or we can produce, hold and monitor your personal inventory ensuring stock levels are maintained to support your company’s ATM, Point of Sale or EFTPOS network. Both are popular solutions because it means you never run out of consumables and – more importantly – you aren‘t paying for inventory to just sit in your warehouse or store room. It’s as easy as ordering your supplies online via our Contact page, or giving our friendly customer service team a call to place your order; then our experienced warehouse operators take over to pick, pack and ship your goods. Together with our freight handling partners and online track–and-trace systems, we make sure you get the right product on time, every time. Whether you need deliveries into your warehouse or a personalised door-to-door service direct from the manufacturer, you can trust us… we are the professionals!